The 1968 MGC GT shop project is really underway, you can view the updated status at our Facebook Page. It took some time to wheel her into the shop but once in our bay we focused quickly to get the drive train out–had to reposition the vehicle to remove the springs. We are also being extremely careful to remove the original glass for the car since we will be using this after the build. Minor lines and harness with a few odds and ends are left. The rotisserie will be happening shortly prior to sand blasting. We had some time this week to begin stripping down the MGC GT to get it ready for sand blasting and see what body parts we would need to acquire. As we began taking it down to our surprise majority of the body panels where in-tack. We will need a floor boards along with a rear hatch. The rotisserie will be getting to the shop next week so we can work a lot easier and begin to have her creep in and out of the shop. 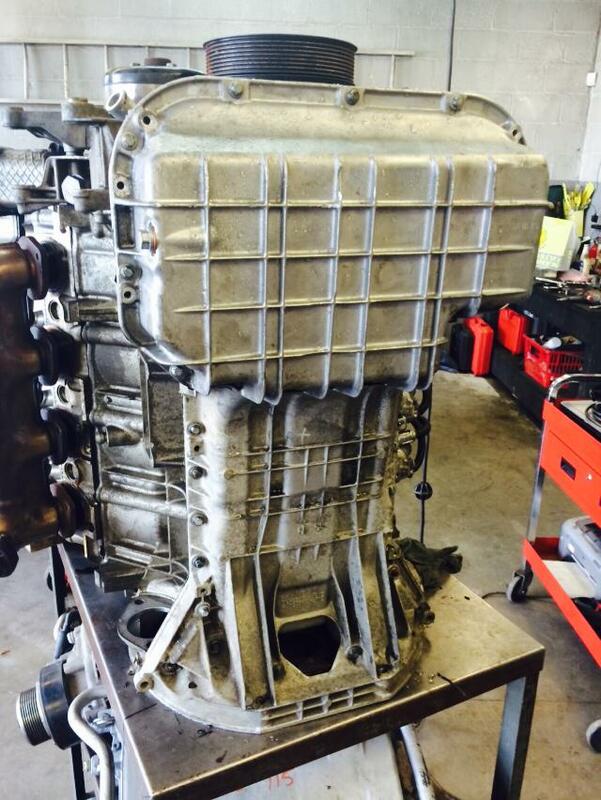 We are making headway on the ML AMG 5.5 Project–past few weeks we have been focused on resealing the engine. The main and rod bearings, oil pump, windage tray, oil pan are now all complete. Next up is the intake gaskets and a good clean before we begin planning the intercooler for the Supercharger and fuel management. Its time to put our engine stock to good use. We currently have a 5.5L AMG Natural Aspirated and a 5.5L AMG Supercharged engine waiting to a transplant of new life to a Mercedes chassis. We recently just acquired a 1999 Mercedes-Benz ML320 with 117K on it that needs some more horses. This ML will undergo a transplant and go from 210HP to 360HP along with suspension upgrades, AMG wheels, and other goodies. Its going to be an interesting build that will require factory Mercedes harness. 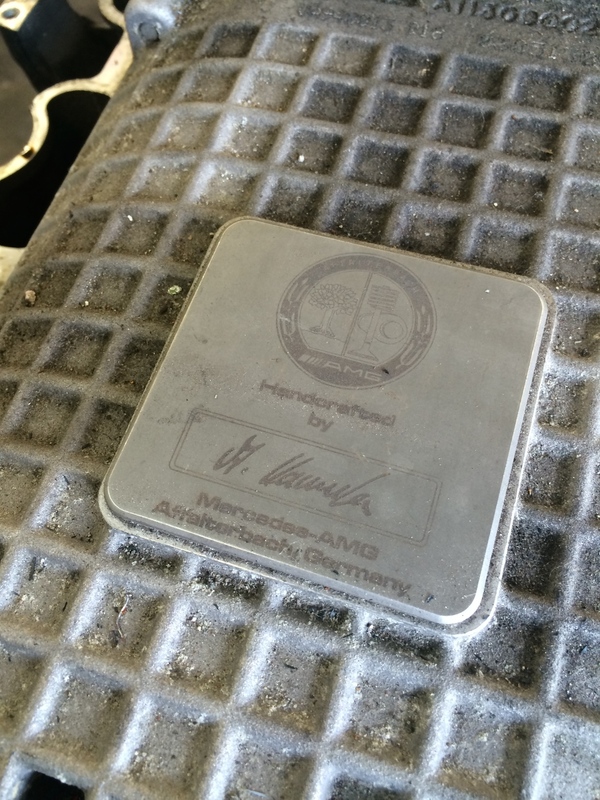 The fuel management will likely be from a C43 AMG (W202) but once we get into it we will document this process. We are always getting ourselves into some unique cars here at the shop. 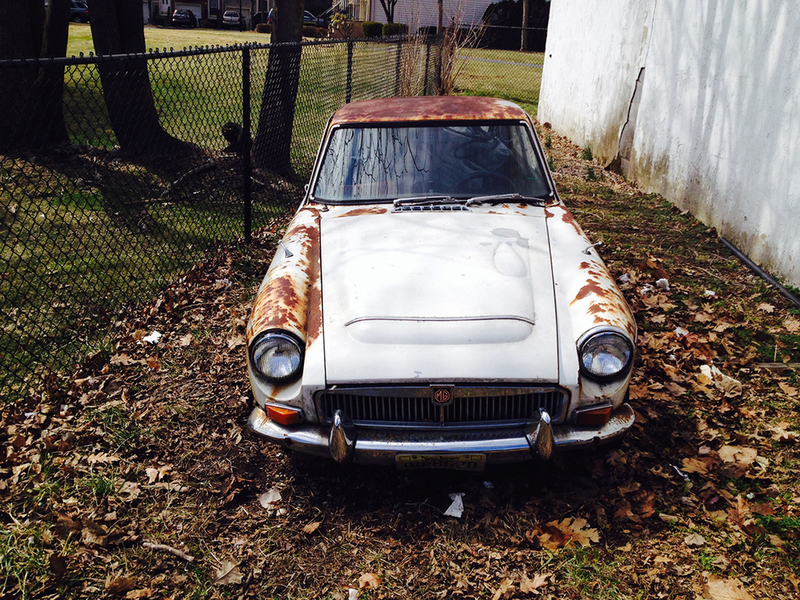 One of our customers dropped off this 69 MGC GT and decided that its home was at Phil's. For years we have sat on the project until just recently. After contacting the customer and then the NJ MVC, the tile was in our name along with the original color marked red. Immediately the listing began with sourcing all new parts along with hitting up some of our fellow shops from our years of service. The plan has been made – the restoration begins. Step one is gutting out the car and then removing all trim, bagging and tagging. Once the dismantling of the MGC is done, we can then bring the car to get dipped and start the structure overhaul. We are posting our initial photos as the car stands today and will continue to keep our readers up-to-date with the progress. Looking to be a great MGC GT in the near future!